There’s nothing like being able to pick fresh herbs for your favorite dishes right when you need them. However, when you grow herbs outside, it’s hard to get them fresh all year long unless you live somewhere warm. This is where an indoor window sill herb garden comes in quite handy. 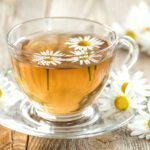 If you have ever grown herbs outside in a garden, you know how easily they grow. Planting indoor herbs is not much different. Furthermore, an indoor herb garden can be in your kitchen on the window sill right at your fingertips for when you’re making that special recipe. 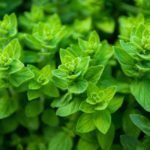 So you might be asking yourself, “How do I grow indoor herbs?” You will find that planting indoor herbs isn’t much different than growing them outside except for the quantity you can grow. When you start your indoor herb garden, going to the local greenhouse or gardening center for your herb seeds is a great start. Quality seeds are best. Sometimes, baby plants can be purchased, but a lot of people enjoy planting indoor herbs from seed. Any container will do for an indoor herb garden. Just make sure that there is proper drainage in the containers you choose. The soil is also crucial in that you need to make sure it is mixed with sand and lime so the herbs have great soil conditions, allowing for maximum growth. 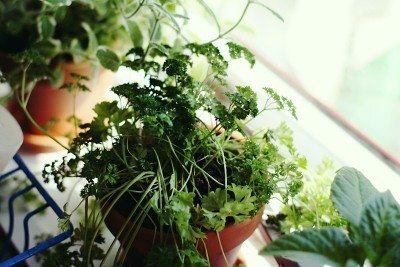 Planting indoor herbs isn’t difficult. Choose an area that allows for at least partial sunlight. Near a skylight or a window is perfect. Southern-facing windows provide the most sunlight and the northern-facing windows don’t provide enough. Fluorescent lighting can be used to supplement the lighting when winter provides very little. In the spring and summer, your plants can go outdoors on a patio for fresh air and plenty of sunlight.